Indie Retro News: Anarcho Ride - Arcade smashing racer for the Atari STe/Falcon goes final! Anarcho Ride - Arcade smashing racer for the Atari STe/Falcon goes final! Our retro friend Darren Doyle of Atarigamer, recently tweeted us about the release of Thomas Ll's Atari STe/Falcon game ' Anarcho Ride ', which has left the beta stage and is now available as version V1.01. Originally just GFA Basic code which was found and now fully developed into this rather cool looking racing game, with graphics by Alan Garrison Tomkins and music by XFalcon, you play as a racer and must slide your way into other cars for an ever increasing high score! 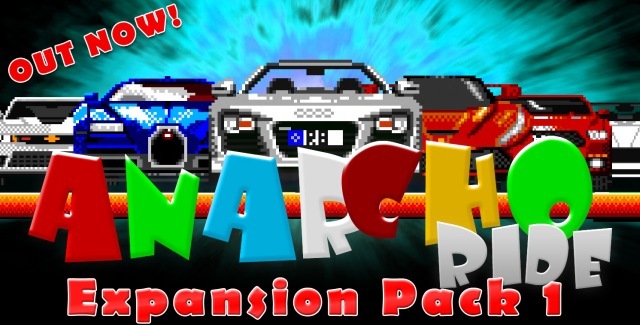 Also to coincide with this news if the original release wasn't enough, you can also download the ' Anarcho Ride - Expansion Pack 1 ', that contains even more fun in a single pack!